Are there any drug or nutrient interactions with berberine? Caution should be taken whenever recommending, or consuming, nutritional supplements. Use this drug-nutrient interaction checker to view potential interactions. Berberine should be used with caution in patients currently taking medication. Berberine affects CYP450 enzymes and may affect medication metabolism. Caution should be exercised in people with diabetes and those with low blood pressure. 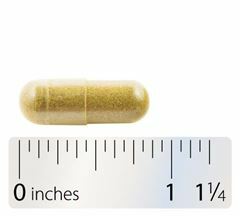 Berberine is NOT intended for children, or women who are pregnant or breast-feeding. What side effects are associated with berberine supplementation? Side effects have been limited to transient gastrointestinal discomfort. Berberine is an active constituent of many plants, including Phellodendron amurense root.